The journaling challenge: For me, it’s all about continuing the adventure I started when I began writing my blog almost two months ago. I’m focusing on changes and goals for my life. The art challenge: No paint, using paper I’ve been saving forever because I didn’t want to mess it up or use it up, and keeping it very simple. Now……….for the hard part. As I’m typing this I’m trying to decide how much to share and whether to share at all. We’ll know if this gets posted or not. One of the things I wrote was “bravery” and I’m not feeling very brave at the moment. The posted photos are actually my second attempt at this challenge. My first attempt was not successful from an artistic standpoint. 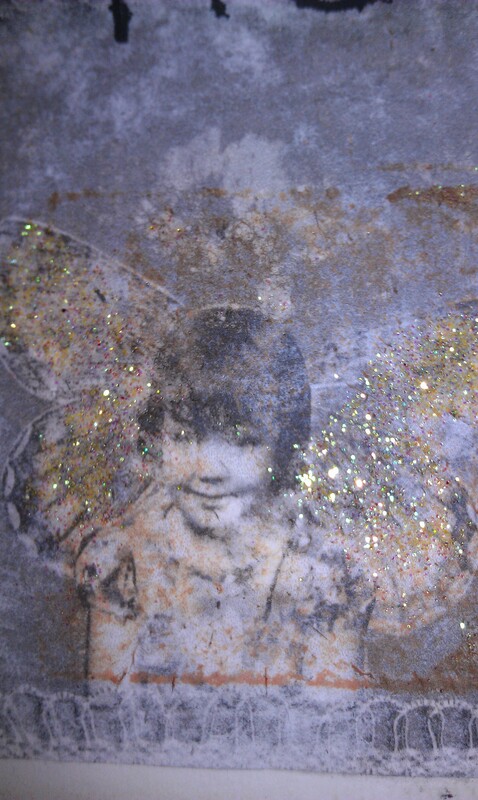 I tried to do a photo transfer with gel medium. I’m okay with art mistakes or failure. Most of my work is built on that…that’s why so many layers. After I finished the pages though, I totally lost it emotionally. I got angry and snapped at my husband, and deleted the posted photos. Racing heart, light headed, chest pressure…classic anxiety attack. Worst I’ve had in a long time. I don’t know what in particular caused the reaction and I started to throw them away. As I type this, hours later, the anxiety is returning. 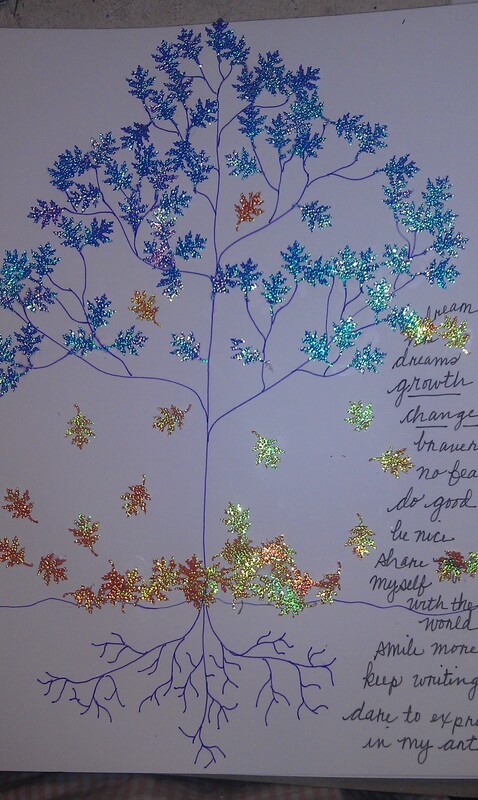 But, the point of journaling is more than practicing our art skills and trying out new stuff. And, I said I would share without restraint each week. So, I’m not going to post the black & whites on instagram, but I am going to post them here and on our facebook page. Like I said, I don’t know what was so emotionally upsetting about these pages. I’m gonna have to deal with that. And I will deal with it. That fits in with the challenge of “what I would do if I had the courage to live more adventurously”. So, here’s the photos and I’m going to hit publish. And it’s all going to be okay. Growth and change are difficult. I am brave. pages we have created to practice our skills and push past our creative limits with hopes to inspire. 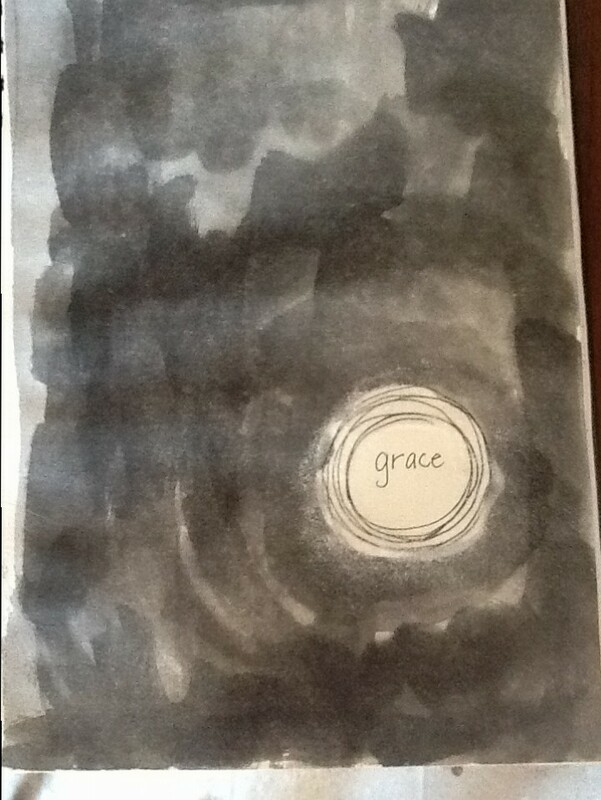 We share our pages without restraint every week, and once a month we create around a prompt. Go check out the crazy talented ladies who are creating pages who each have a unique perspective and style. 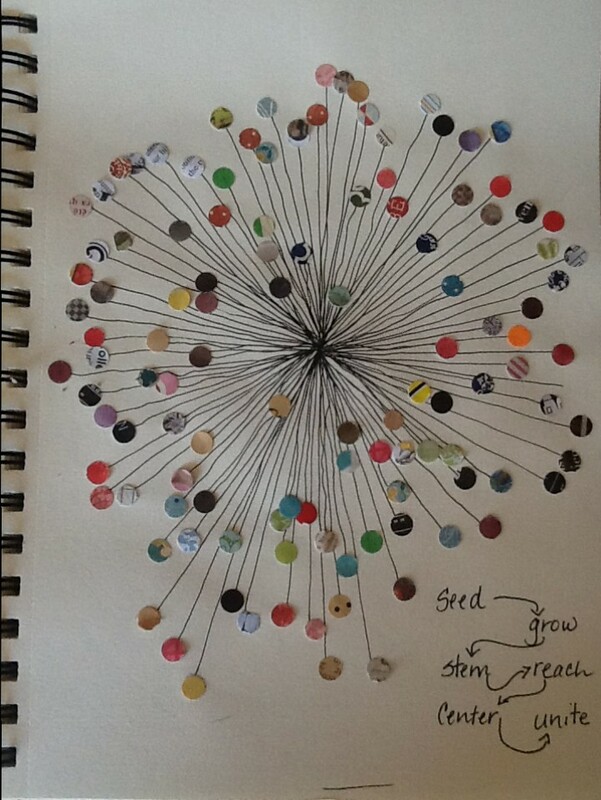 We will be sharing our work around social media so follow the hashtag #getmessyartjournal. So, I look at the clock and realize that it’s after midnight. That means it’s Thursday. I haven’t done my journal pages. I was going to do them, but something else just kept coming up and now I’m tired and I just want to go to bed. But, I signed up for it and I committed to doing it and I don’t want to not post. Off to my desk I go. Except it’s piled high with all kinds of stuff. I can’t even see the desktop. I make a space and grab some paper. I am not in a good mood. Did I mention that I really want to go to bed? Definitely followed the instruction of “Get Messy”. I slap on paint with my hand because I don’t want to wash the brush. I just want to go to bed. I don’t plan. I don’t worry about the layout. No glue. Just gel medium. Scraps off of the floor and out of the trash. Flip through a magazine and grab words. Smear, tear, drop. Hmmm. Those words go together. Play, community, enjoy, chill, cool off… The arrow is pointing up. That’s optimistic. The words “field trip”. Getting out – of the rut – real life. Taking a break from what has to be done. Doing something I love to do – even when I don’t want to start. I feel better. It’s not art. It’s an experience. A mood lifting, transformative experience. And that’s what it’s all about. No pretensions about the finished product…the pages or the writing. Just free-flowing ideas. And I really do feel better. But, I still want to go to bed. So thank you, fellow Messy Journalists. Easy enough. 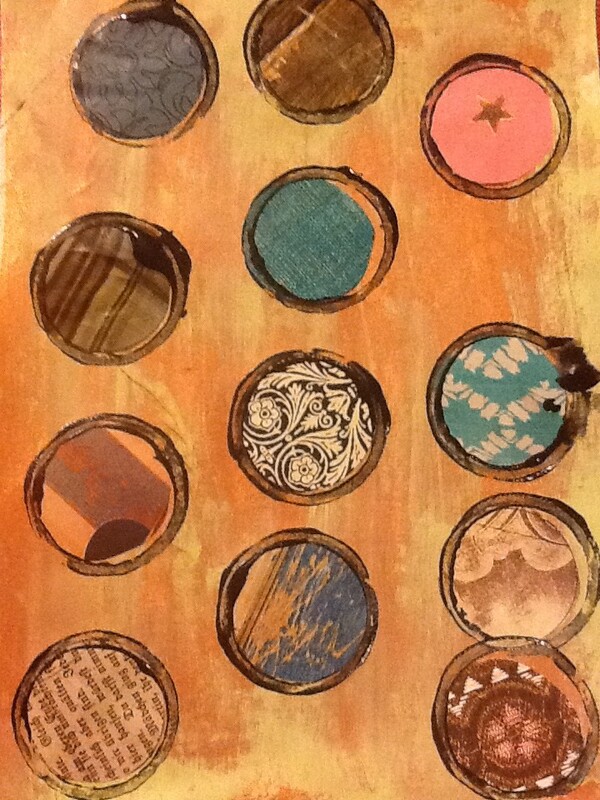 Life drawing isn’t really my thing anymore, but I can do collage all day long (I wish I could all day long)! I started with a stack of magazines and my stash and soon had a nice little pile of things I do. Problem #1. What someone does all day isn’t who they are. Doing and being are not necessarily the same thing, right? The activities make up a part of who you are, but they are just that: a combination of stuff you have to do and a bit of want to do. Problem #2. How do I actually do this thing? What if I don’t show everything. What if how I depict myself is erroneous – my conception is somehow different from people’s perception. #1…The things I do make up the clothing I am wearing… because the activities I am involved in daily “clothe” me. Each day I cover myself with the needs of the day. Some days I dress up, most days I wear work clothes. These things I do sometimes obscure who I really am – like a worn out pair of jeans and a baggy sweatshirt. Sometimes they protect me like a suit of armor. Most days, they prepare and equip me for the work I’m doing – like a worn out pair of jeans and a paint-stained T-shirt. The “real” me is always present; underneath it all. 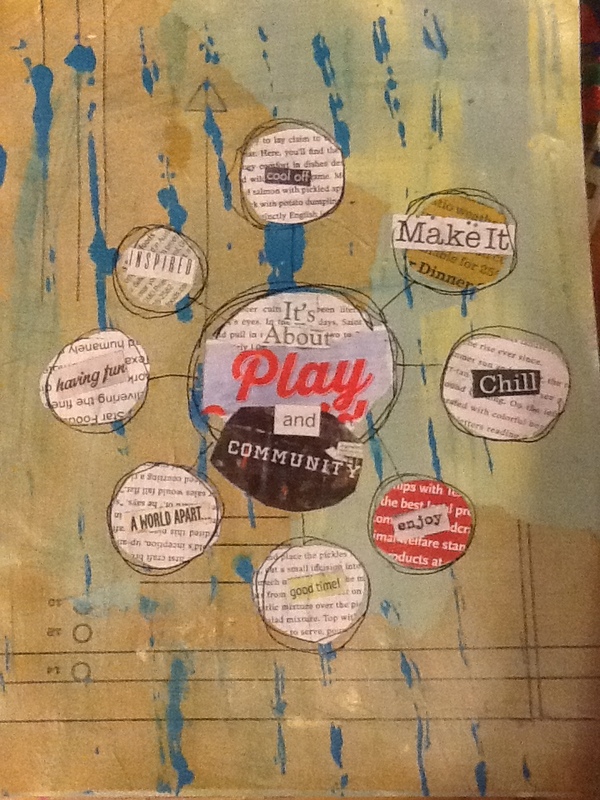 Skipping on to #3…It’s not art, it’s a journal page. Duh. Lighten up, Kelly. Wings that are somewhat tattered and worn because so I am, but I still have some flying to do. A heart of gold because I really do have a lot of love to share even if I struggle with trust sometimes. Paintbrush bristle hair for all the times I’ve gone somewhere and realized I have a big glob of paint in my hair. Striped tights just like the Wicked Witch of the West because I sometimes have the tendency to act like her. Ruby slippers because no matter where I go, I long to go home. Empty hands (not really empty, just open) letting go of “bad” stuff and open to grab “amazing”. A glittery pink crown because somewhere in time, I quit thinking of myself as a princess (the magical child-like kind). It’s not perfect and finished because neither am I. Everything isn’t shown because parts of me remains hidden and there are things I haven’t discovered yet. I know I forgot something because, as in real life, I’m sure I’ve forgotten (or lost) something. If folks see me differently than this, that’s probably as it should be. I’m different things to different people. 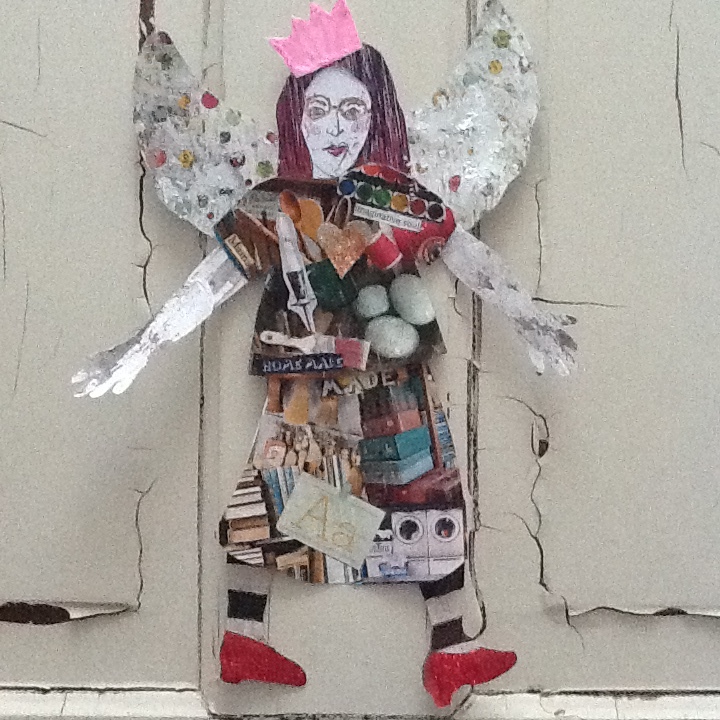 Oh, and I realize that it’s not actually a page – it’s a paper doll…because sometimes I don’t like to follow the rules. I hope you have a day full of discoveries ahead! 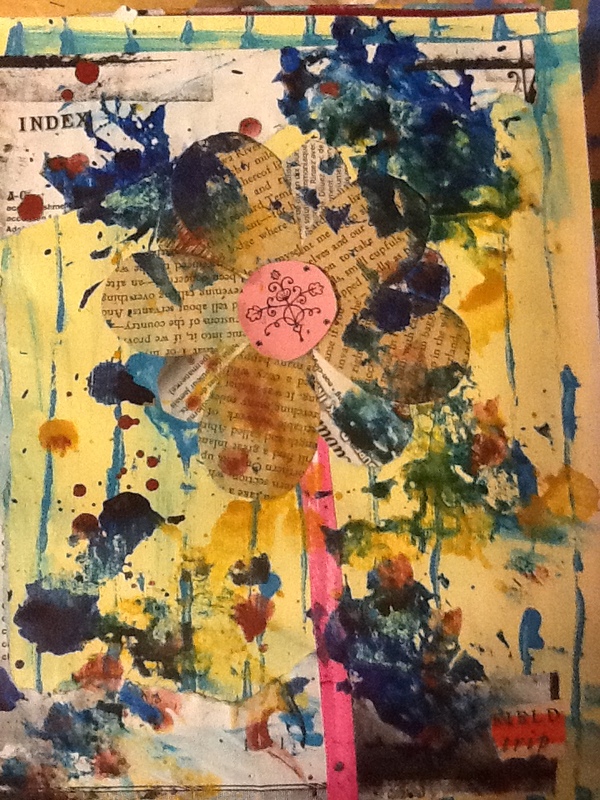 I mentioned last week sometime that I had joined an art journaling group, “Get Messy”. 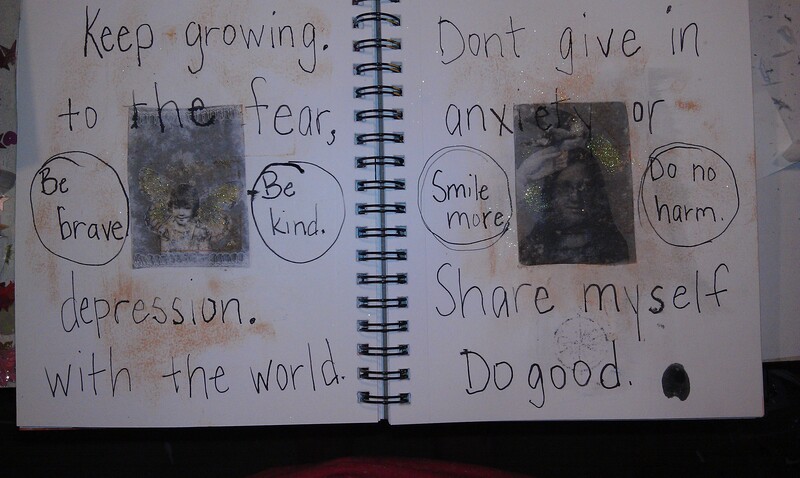 I haven’t journaled regularly for quite some time. I miss it. 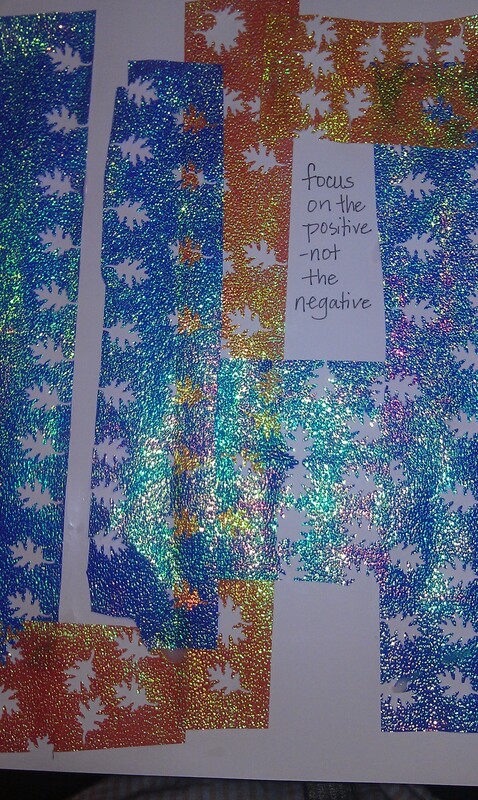 I also believe that journaling is important for many, many reasons. I just don’t do it because there isn’t enough time. What does that even mean? There isn’t enough time. Definitely a post for another day. Joining a group makes me accountable to others. If I don’t post two pages on Thursday, lots of folks will notice. A public failure, if you will. Did you notice that I’m posting this on Friday? Yep, I missed my first Thursday. FAIL. Public fail. I’m new to the group, please like me – fail. But wait! On this new journey, I’m trying to be nicer to myself. So, here’s the best I’ve got. I was sick yesterday and could care less about art, much less journal pages. I was focusing on the most basic of human needs…trying not to throw up water. So, no apologies. Here they are. For the longest time, when things got stressful, I have threatened my family with moving to Alaska and raising ducks. Alone. By myself. Just me… and the ducks. Yes, I’ve lived in Alaska. I know how cold it is. As far as my tumultuous childhood is concerned, it was a great year. I don’t remember much about my family life, but I do remember living on the banks of Salmon Creek, an abandoned gold mine a short walk away, blueberries by the pound, a bear or two in said bushes, and panning for gold. The star of the basketball team, Mark Kelly asked me to be a cheerleader. I’m not really the cheerleader type now, but I always imagined if we hadn’t moved, how my life might have been different if I could have become the cheerleader type. Whatever that means. Better somehow. But we did move. Raising ducks in Alaska is my mythical, make it all better place. Emphasis on mythical. Can you even raise ducks in the wild? I know it wouldn’t be all that great in reality terms. I might get lonely eventually, but it would be nice to try for a bit – with a return plane ticket in hand. It’s been a stressful day. Can you tell? 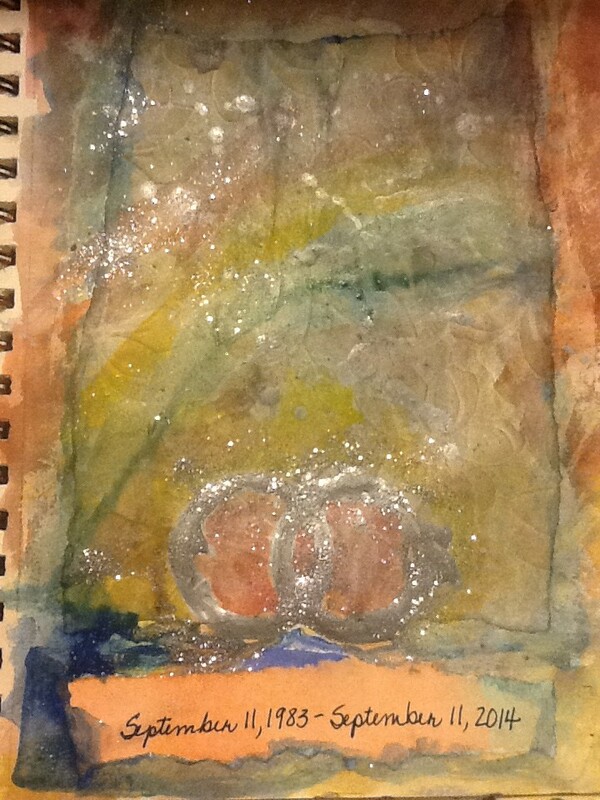 The highlight: I’ve joined an art journaling group. I’m looking forward to the community and accountability. 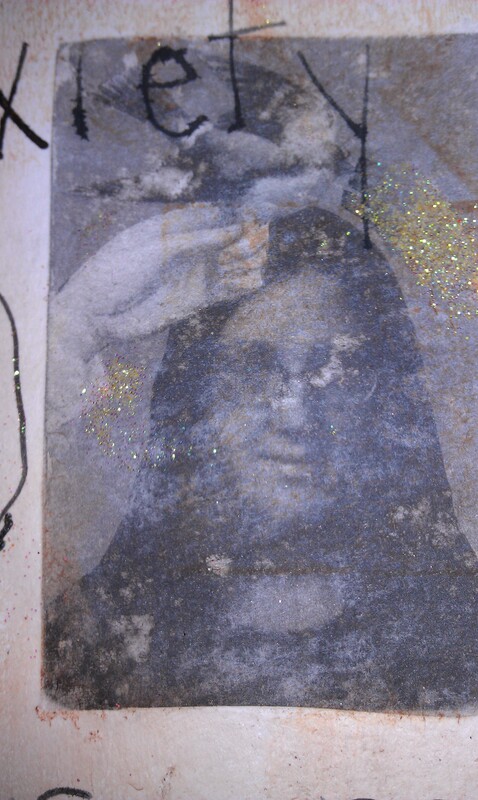 It’s too easy to let the artistic me fade into the background…talk about adding stress! By the way, I did coach cheer for my daughter’s homeschool football team cheer squad last year. How did it go? Let’s just say that it’s a good thing I have other gifts. I did okay except for the whole jumping, perky, smiling, rhythm, dancing, cheering part.